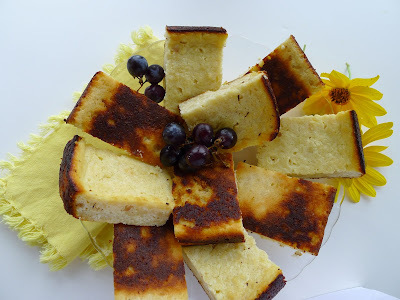 Quesada pasiega, a Spanish cheesecake. I’ve had cheesecake on the brain. Not sure why. 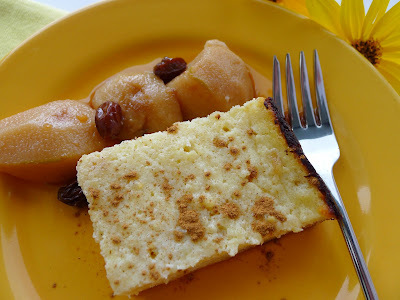 But instead of indulging in a rich, New York-style cheesecake, I decided to make a Spanish recipe, quesada pasiega, which is more like a cheese custard and ever-so-easy to put together. “Pasiega” comes from the Valley of Pas in Cantabria, northern “green” Spain, which is famous for its cheeses. Traditionally, this dessert is made with fresh cheese curd (cuajado), before it is shaped and cured on the way to becoming cheese. 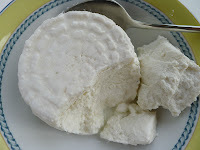 But it is easy to adapt to any sort of fresh, soft cheese—fromage blanc, ricotta, requesón, quark, unsalted cottage cheese, thick Greek yogurt. I used requesón, similar to ricotta, a soft curd cheese tasting of fresh milk, instead of Pasiego cheese curds for this cheesecake. Please note that this recipe has one very exotic ingredient—butter! 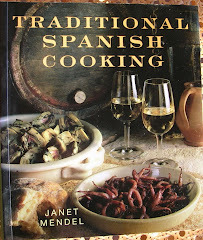 If you are a regular follower of my blogs about Spanish cooking you may have noticed (or, perhaps not) that butter never appears in the recipes. 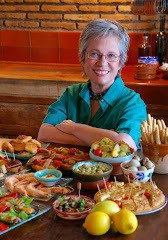 In Spanish cooking, and in my own kitchen, olive oil is the fat of choice. However, I just happened to have a tub of butter left behind by a guest. And, as Cantabria is a land of verdant meadows, rolling hills and pastures where cows graze, butter and cheese are part of the region’s cuisine. The quesada is good served with a fruit compote (see the recipe for pears in sweet wine here) or strawberry puree. Quesada pasiega cut into squares for serving. Combine the milk, lemon zest and cinnamon stick in a small saucepan. Bring to a boil and remove from heat. Let cool to lukewarm. Remove zest and cinnamon. Set aside 3 tablespoons of bread crumbs. Place the remaining crumbs in a food processor and pour over the milk. Process until smooth. Preheat oven to 350ºF. Butter a 13X9 inch rectangular baking pan and sprinkle with the reserved 3 tablespoons of bread crumbs. Cream the butter in a mixing bowl (or add directly to the food processor). Beat in the sugar, then the eggs, one by one. Beat in the the fresh cheese. Stir in the bread and milk mixture. Pour the batter into the baking pan. Bake until the custard is set and a skewer comes out clean, about 45 minutes. Allow to cool in the pan. Loosen the edges and turn out onto a work surface. Cut the custard into pieces approximately 3 by 2 inches and arrange them on a serving platter. Dust with cinnamon, if desired. 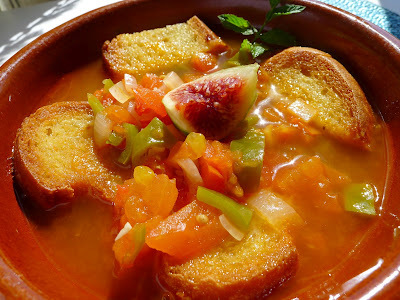 Hot gazpacho, a cooked version, served in a cazuela. Ripe figs to garnish the soup. 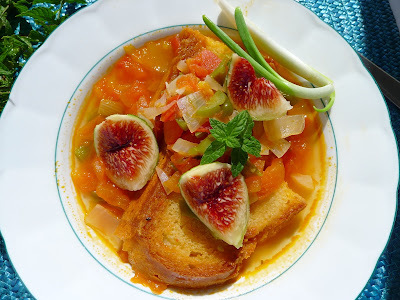 In my village, where it’s known as gazpacho caliente or sopa de tomate, it is served with slices of ripe figs—also in season—as garnish. Sometimes it also has clams or salt cod added. The soup can also be pureed. 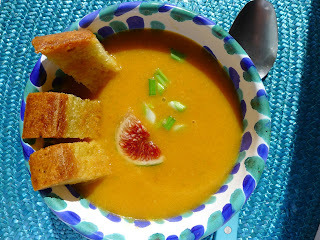 The soup can be pureed, if you like, making it more like smooth gazpacho. But it is perfectly ok to leave it with bits of vegetables in the broth. 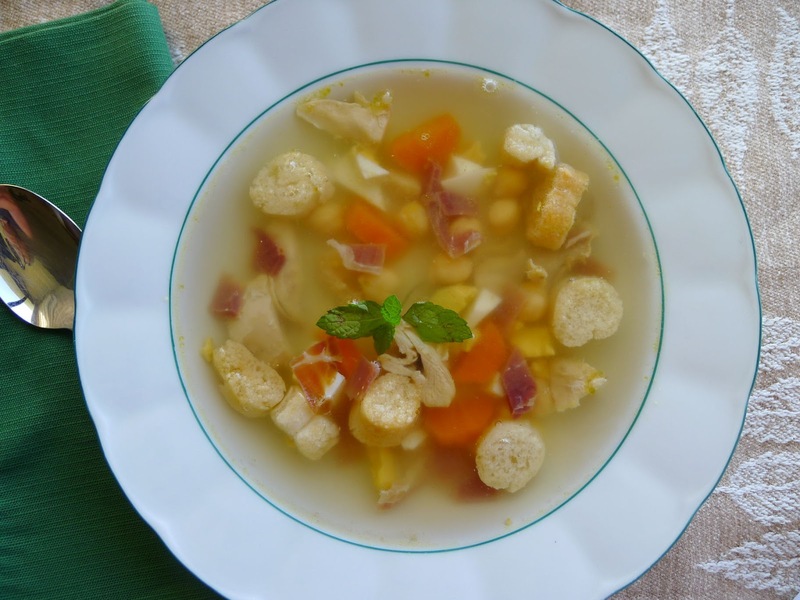 This home-style soup is usally made with water, but chicken, meat or fish stock can be used instead. You should use enough bread to almost soak up all the broth. 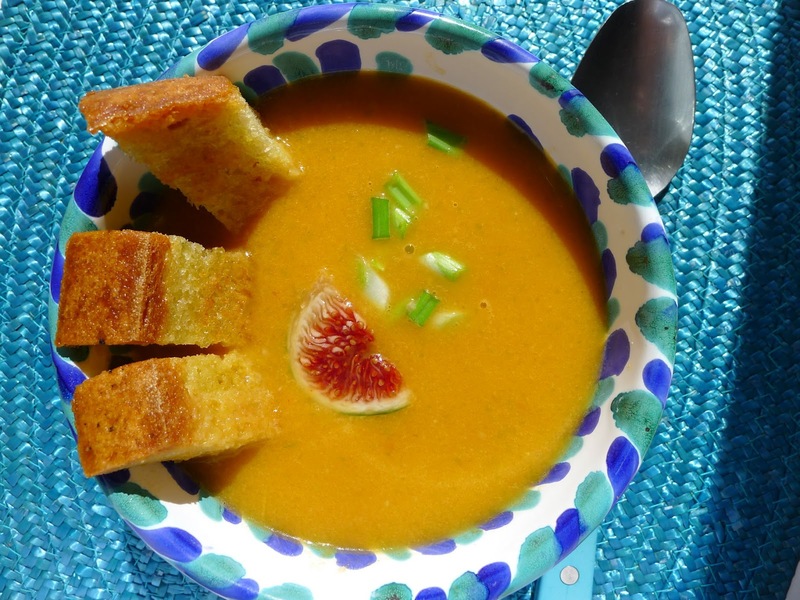 If it’s not tomato season, the soup can be made with canned tomatoes. 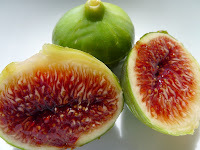 No figs? Use grapes or chopped apple for garnish instead. Lots of bread to soak up the broth. In a soup pan heat half of the oil. Fry the bread slices until golden on both sides. Remove and reserve. Immediately before serving place a slice of bread in each bowl. Ladle the soup over the bread. Garnish with figs, mint and green onion. Sopa de Picadillo--Chicken broth with chopped garnishes. I’ve got an upset stomach and a low-grade fever. My joints ache and I’m feeling a little woozy. I sure don’t want to cook or eat very much. But, still, there’s an empty place; I need something. Ah, chicken soup. The worldwide panacea for everything that ails you. “Jewish penicillin.” Mama’s home remedy. 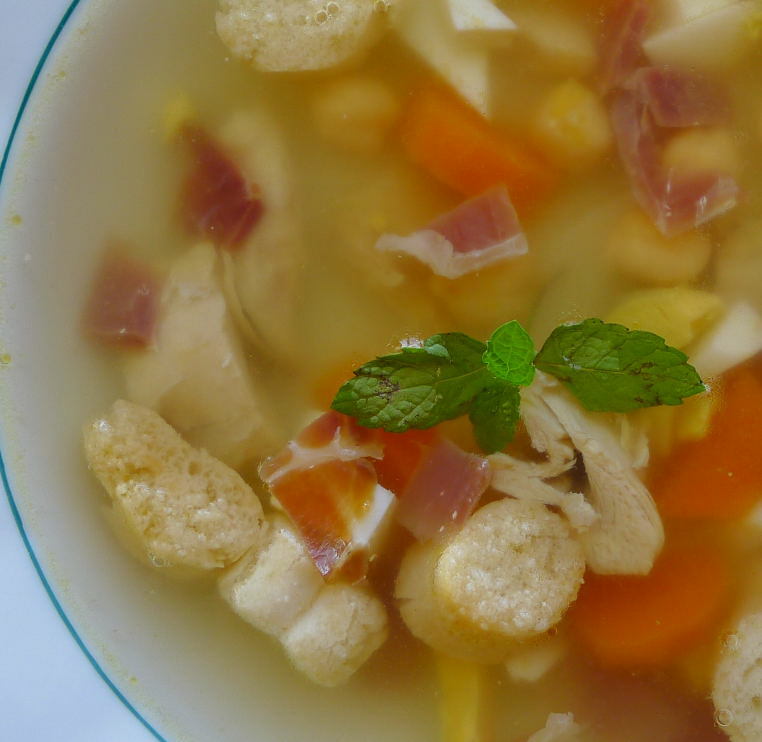 In Spain, the restorative soup is sopa de picadillo, a rich chicken broth that’s embellished with chopped egg, chopped ham, croutons and sometimes a shot of Sherry. Sopa de picadillo is considered a hangover cure and a wedding night pep-up. It’s what mamá feeds an ailing youngster. Authentic sopa de picadillo is made with the leftover broth from puchero or cocido, a rich one-pot-meal of chicken, beef, salt pork and ham bone with vegetables and chickpeas. Picadillo means “chopped mixture.” So the soup’s garnish is chopped hard-cooked egg, chopped ham, chopped chicken and diced bread. Some of the vegetables and chickpeas from the puchero can be added to the soup. Instead of crisp fried bread, rice or fideos (vermicelli noodles) can be cooked in the broth. Sometimes, instead of chopped egg, egg yolks are mixed with a little Sherry and stirred into the soup, or, any eggs from inside a hen, resembling egg yolks without the shells, are poached whole in the broth. The sprig of mint, floated on top of each bowl of soup, is essential. It’s aroma sets off the flavors of chicken and ham so well. My sickbed soup was a simpler version. I used homemade chicken broth that I stash in the freezer and some leftover cooked chicken. I didn’t even bother to fry the bread cubes, but used packaged picatostes, croutons. Soothing, nourishing. I’m feeling better already. Heat the chicken broth. Shortly before serving, add the chopped chicken, carrots and chickpeas, if using, to heat. Add salt and pepper, if necessary. Add the Sherry, if using. Heat the oil in a skillet and fry the diced bread until crisp. Set aside. Ladle the soup into individual bowls (usually shallow soup plates). Add chopped ham, egg and bread cubes to each serving. Garnish each with a sprig of mint. Pears (and a few lemons) from my neighbor's garden. Before they’re even ripe, the pears on my neighbor’s trees attract big jay birds that peck at the fruit. To save the crop, we’re picking the pears early. But after a week on a sunny table, they still haven’t begun to soften. I cut up some of them and made a batch of pear chutney. 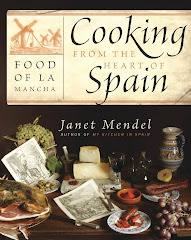 Now I’m making a Spanish dessert by simmering the pears in wine. No, not red wine, as in the classic French way. 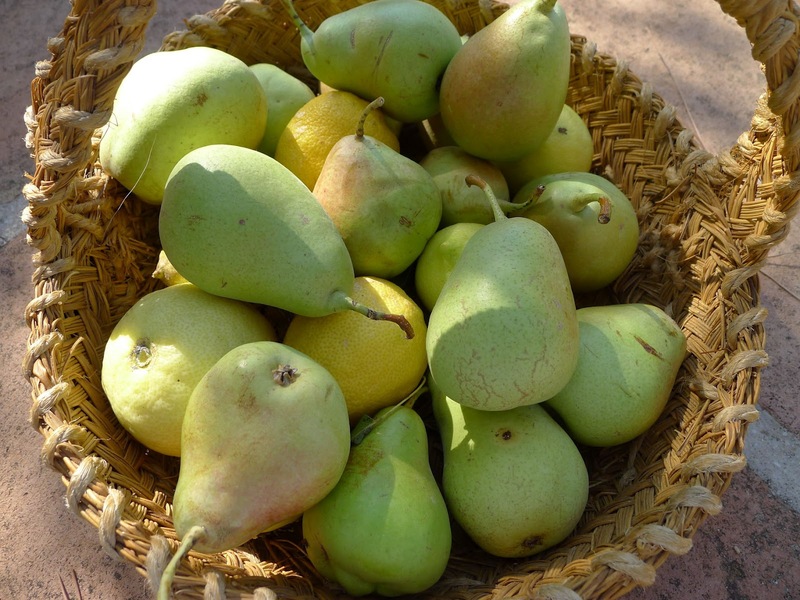 These pears are cooked in sweet Málaga wine. 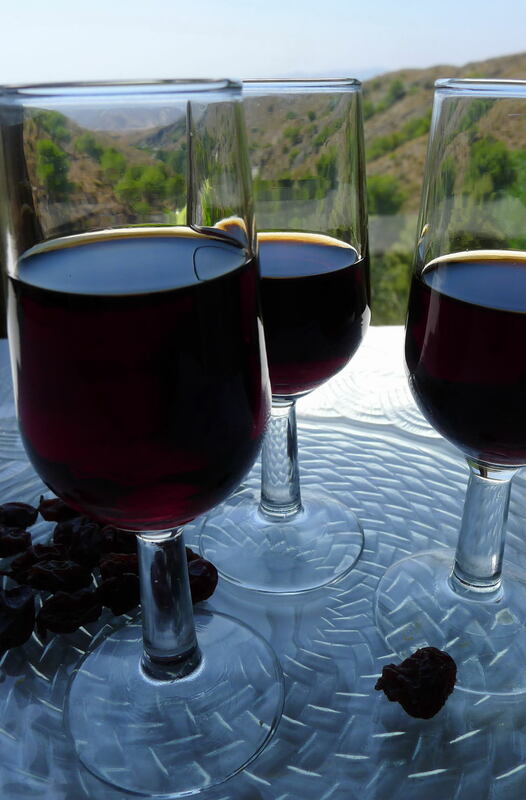 Málaga wine is made from Pedro Ximénez and Muscatel grapes that are “raisinified,” or sun-dried, before pressing, a process which intensifies the sugars. Sometimes called “liquid raisin,” it is a delightful dessert wine, but also goes nicely with toasted almonds, cheeses, sausage. 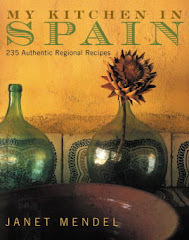 Serve Málaga wine, chilled, in liqueur glasses, Sherry copas or over ice. Diluted with soda water, it makes a nice tall drink. 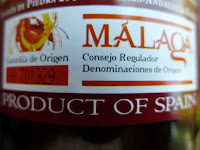 In the kitchen, sweet Málaga is a good addition to pork and chicken dishes, especially if balanced with a little vinegar. I cooked the pears in the wine, with the addition of cinnamon, clove and lemon zest, until they were tender when tested with a skewer. As the wine is sweet, I didn’t add sugar. And, because the compote reminds me somewhat of another dessert cooked in wine must, arrope (that recipe is here), I added some chunks of pumpkin to the pears. Slivers of toasted almonds (the almonds also from my neighbor’s garden) made a crunchy topping. The fruit is lovely topped with whipped cream or, my choice, dollops of unsweetened Greek yogurt. 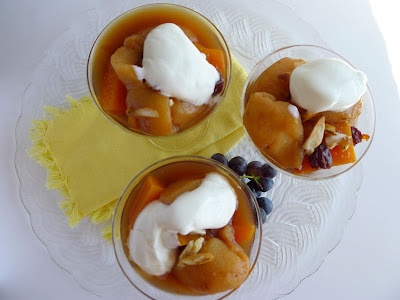 Pears, pumpkin and raisins simmered in sweet Málaga wine. Peel the pears, core them and cut in halves or quarters. If using pumpkin, remove skin and seeds and cut it into chunks. Place the fruit in a pan and toss with lemon juice. Add sugar, if using, cinnamon stick, cloves, lemon zest, raisins, wine and water. Bring to a boil, cover and simmer until the pears are tender when tested with a skewer, about 35 minutes. Canned seafood makes for easy meals. It may be September, but in southern Spain this is still full summer. I want quick and easy meals, minimal cooking. So I’m taking my own advice (see a previous blog posting, Too Hot to Cook), and using canned seafood as the starting point for easy meals. With such a great variety, I’ve got lots of options. There’s way more than canned tuna. Here’s what I’ve got in my pantry: bonito (white tuna or albacore), melva (frigate mackerel), caballa (mackerel), sardines and sardinillas (small sardines), anchovies, mussels, clams, cockles, scallops, octopus, squid. 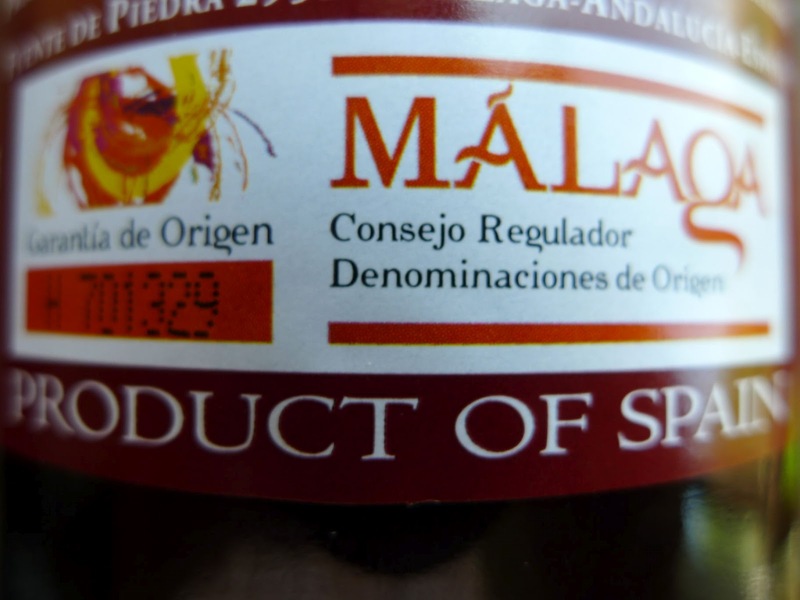 Spain has long been a market leader in fish conserves. Way back in Roman days, Spanish garum, a powerfully smelling, fermented fish paste flavored with herbs and packed in brine, was much appreciated in Rome. Today tuna--albacore, skipjack and yellowfin-- represent more than 55 percent of Spain's canned fish production. Sardines are second, followed by mussels, mackerel and anchovies. 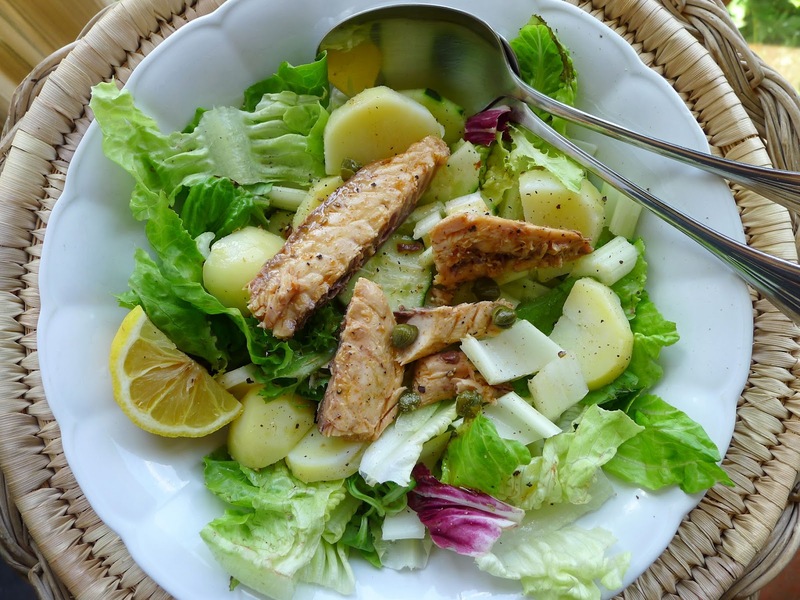 Tuna and bonito come packed in vegetable oil or olive oil; in escabeche, a vinegared marinade; with lemon; al natural, in brine without added oil, and in ensalada, which includes bits of pickles, carrots and onions. Fish of similar family are melva, frigate mackerel (one brand markets it as melva de almadraba, captured in anchored nets), and caballa, mackerel. Escabeche fish, with a piquant blend of oil, vinegar and pimentón (paprika) makes a ready-made dressing. All that's needed is a good squeeze of lemon. 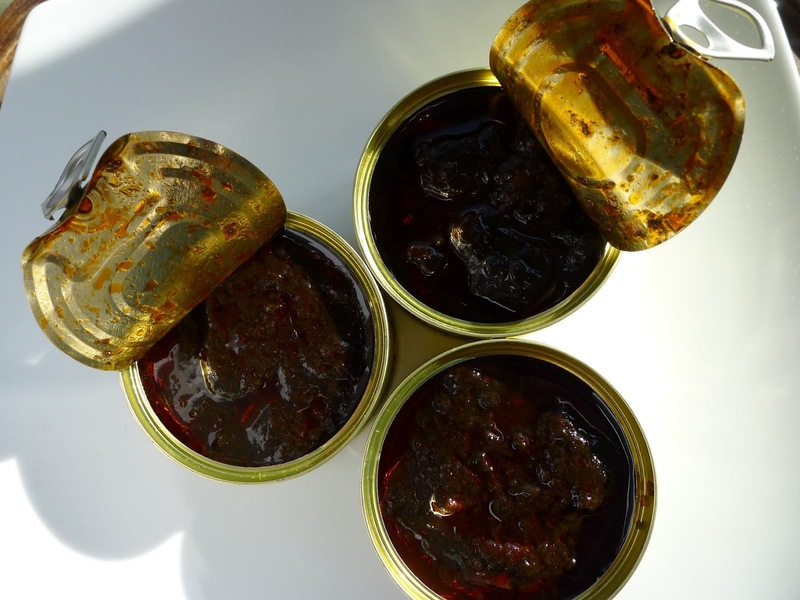 Canned fish in escabeche--readymade dressing. 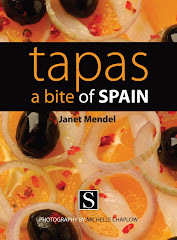 Canned tuna, bonito, melva and mackeral can be used more or less interchangeably. All make fine salads and sandwich fillings. Best quality brands are those packed in extra virgin olive oil. But, if I’m making an ordinary tuna-salad-sandwich for the kids, I use cheaper brands, drain off the vegetable oil and stir in some olive oil. For something a little different in tuna sandwich, I like the capote served in tapa bars—tuna with mayonnaise and capers topped with strips of roasted red and green peppers on mini buns. 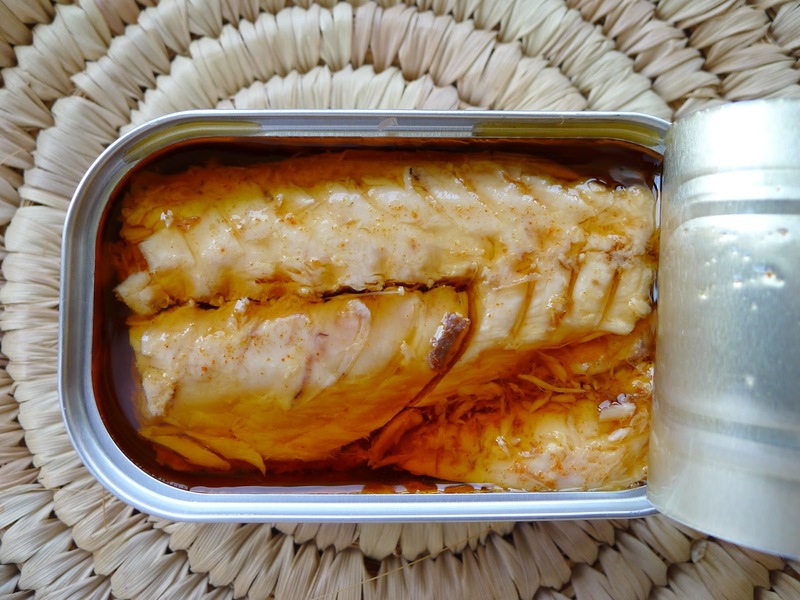 Canned sardines, whose bones are soft enough to chew, are an exceptionally rich source of calcium. The finest sardines are those packed in olive oil, but they also come in tomato sauce, in escabeche and picante, seasoned with chile. Sardines make a great topping for pizza. I make a sardine “pâté” to spread on toasts. Combine drained sardines, chopped onion, Dijon mustard, lemon juice, dry Sherry, extra virgin olive oil, salt and pepper in a mini food processor. Serve on toasts garnished with sliced hard-boiled eggs and thinly sliced peeled cucumber. 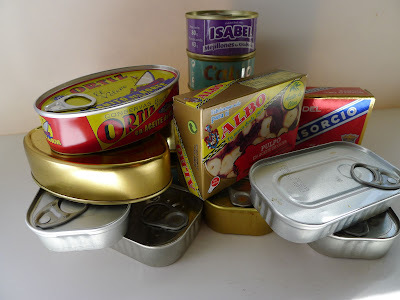 I think of anchovies (in a tin, they’re called anchoas; they’re boquerones if they're fresh ones) as a sort of spice. A dash of them adds pizazz to many different foods. Chop some into boiled potatoes or mash with cream cheese to make a topping for baked potatoes. Stir into butter with lemon and capers and pour over veal cutlets. 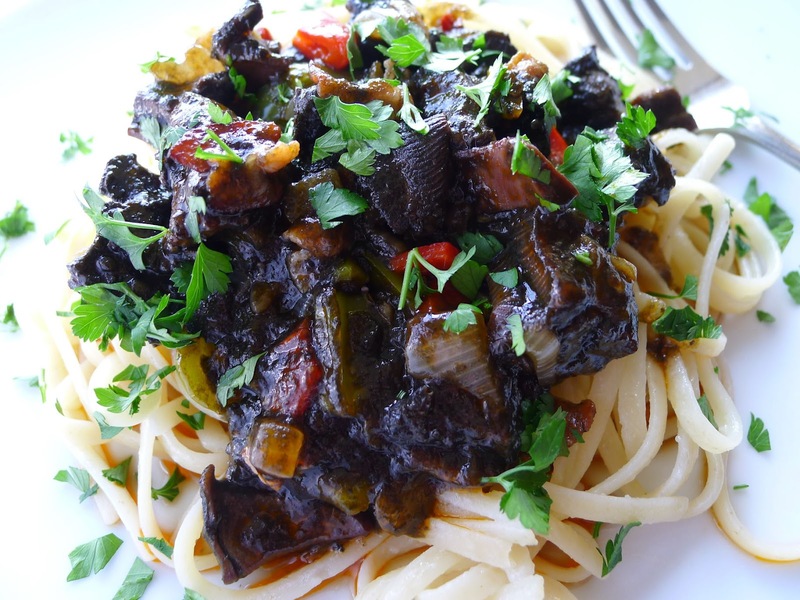 Squid in ink sauce, great for pasta. 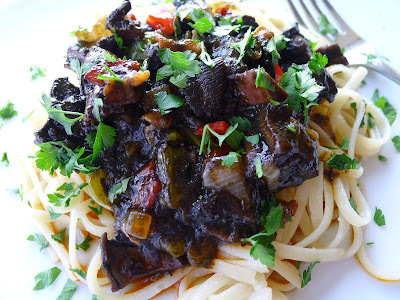 Linguine with squid in ink sauce, quick and easy. Canned mussels (mejillones) in escabeche are so good that I pack them to take as gifts to friends in the US. (My mother was crazy for them.) They can be enjoyed straight from the can or turned into more complex presentations. They’re great in a salad of wilted greens with fried croutons, crispy garlic and chopped egg. 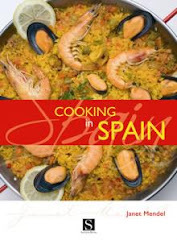 Clams (almejas), cockles (berberechos), razor-shells (navajas), wedge-shells (machas), sea-urchins (erizos) and crab (cangrejo) are other shellfish in cans to be found in Spanish shops. Imported Spanish canned tuna, sardines and shellfish can be found in many big supermarkets in the US or from La Tienda, The Spanish Table, or De España. Heat the oil in a pan and sauté the bacon, onion, garlic and bell pepper for 5 minutes. Add the fennel seeds, wine and red pepper flakes and simmer the sauce for 5 minutes. Add the contents of the cans, cutting up the pieces if necessary, and simmer another 3 minutes. Add a little water if sauce is too thick. Meanwhile, cook the linguine or spaghetti in ample boiling, salted water. Drain the pasta. Serve it topped with a spoonful of the squid sauce and a sprinkling of chopped parsley.